Welcome new students! This summer I have lots of availability! Summertime is a great time to move forward and begin lessons with a new teacher! Music is born of singing and the natural rhythms we hear about us every day. The instant a string is plucked or a bow caresses the string, music is being made. My goal is to work with you to bring out your own inner voice. Each one of us has a beautiful and particularly unique way of expressing ourselves no matter what level of proficiency we have reached on our instruments. To be a musician and artist involves daily discipline and exploration, and challenges nearly every aspect of our being. Music is a joyous gift we enjoy our entire lives and it is a blessing we share with others. I love my job as a cello teacher and chamber music coach. I learn so much from my students and my life is filled with music of the great composers! Each student has his or her own gift. I work closely with each student to explore their passion for music. Music is a performing art that offers opportunities for individual expression at a very high level. My time with the cello consists of practicing, performing, teaching and being coached. These activities are all consuming and bring me daily joy, inspiration and peace. Through coaching cello and chamber music, I am constantly refining and expanding my knowledge of teaching and performing by examining the art of phrasing and bow technique for each individual piece based upon many factors: historical studies of the period, an exchange of ideas with my students and concepts of the natural beauty of a phrase based on singing. The challenges I have encountered and overcome in music (and continue to explore) have brought such great rewards in my life. This hard work overcoming obstacles in my own playing has, I believe, helped to make me a patient, nurturing and understanding teacher. I have been fortunate to have worked for several years with Margaret Rowell, who brought greater ease and fluency to my cello playing. I am constantly striving to improve my teaching, my understanding of music and my playing. I was inspired to become a teacher and cellist from my fine teachers, colleagues, and coaches: Gary Hardie, Margaret Rowell, Irene Sharp , Nicholas Anderson, Debbie Davis, Ovidiu Marinescu, Eva Kuhn, Lynne Beiler, Suzanne Dicker, Melissa Anderson, Jean and Peter Mauro, John Enz, Chiu-tze Lin, and Jonathan Spitz. In 2007, I co-designed and directed the Princeton Bach Workshop with Swiss cellist, Eva Kuhn. My main mentor was Margaret Rowell with whom I had the privelege to work with extensively in San Francisco for nearly ten years. I work with students of all ages, starting from the age of three and half to adults. I have several years of training in early childhood music with Westminster Conservatory, and have completed Orff level one training. I incorporate concepts of music and movement in my teaching. My students are given the opportunity to play in a recital each Winter and Spring. 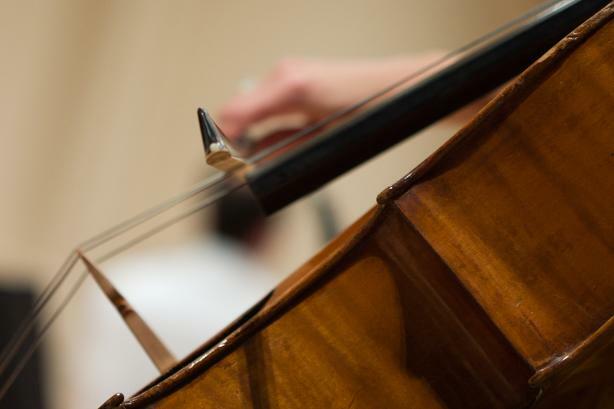 In addition, group cello classes, held a couple of times a year, offer students a way to gain confidence in sight reading and performing for their peers. A guest cellist is invited at least once a year to conduct an optional master class with my students. As a musician and teacher, I invite opportunities to coach duets, piano trios, piano quartets, string quintets, string quartets, and string trios. I have assisted my husband with his field studies in Primatology and have spent much of the past fifteen years abroad, in remote corners of the world. I have been extremely fortunate to have been immersed in the natural world of the Sumatran Rain Forest for 2.5 years, as well as the Okavango Delta in Botswana for 3 years and Laikipia, Kenya for 5 years. During this time I home-schooled our two children for much of K-6 grade. Our family participated with Kemie Nix, Wicoff Elementary School of WW-P school district, Princeton Day School and Stuart Country Day School as part of Reader to Reader, a non-profit organization, to collect over 2000 books for school children in Laikipia. I am fascinated with traveling and have been blessed with many opportunities to have cultural exchanges with musicians and people in many parts of the globe. I have performed at Delta Camp in the Okavango Delta, with the Quito Chamber Orchestra, Nairobi Symphony and the Singapore University Orchestra (while they toured in Medan, Sumatera). *My husband studies apes and monkeys and I play cello=Monkcello! Please contact me at: monkcello@comcast.net, 609-571-7404.